New postcard to my collection, postmarked on the back from 1908. 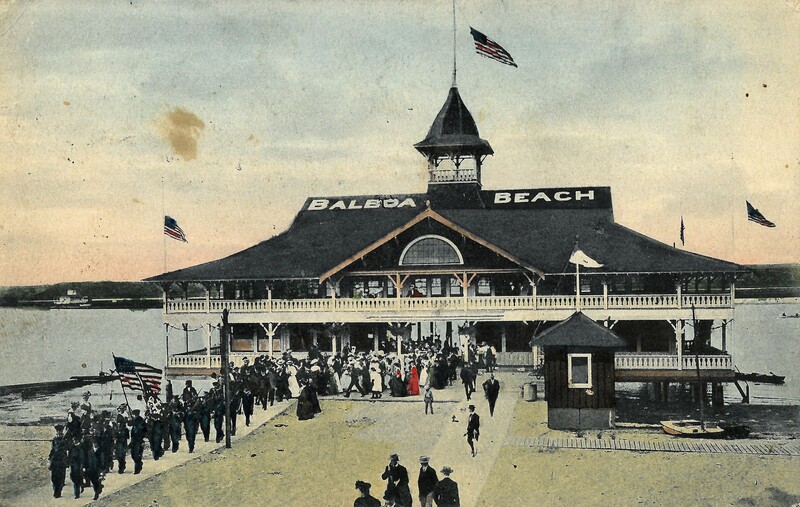 It shows a gathering at the Balboa Pavilion under flags that are raised at half staff. This could be a funeral procession or other day of morning.